Product prices and availability are accurate as of 2019-03-29 23:42:58 UTC and are subject to change. Any price and availability information displayed on http://www.amazon.com/ at the time of purchase will apply to the purchase of this product. From a boom-tube comes this Parademon, a harbinger of doom straight from Apokolips! Purchase one to strike fear into the hearts of your opponents, or recruit a number of to form your personal shock-trooper military. For Darkseid! 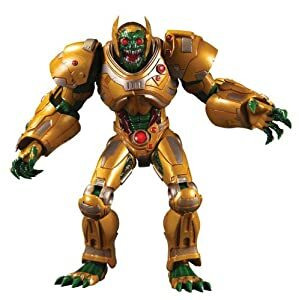 Parademon stands 19 cm H.